The book The Spy Chronicles: RAW, ISI and the Illusion of Peace, co-authored by the former chief of Pakistan’s Inter-Services Intelligence (ISI), General Asad Durrani, and A S Dulat, the former chief of India’s Research and Analysis Wing (RAW), has created a buzz around South Asia. Former counterparts from the rival countries’ intelligence services coming together to produce a book on sensitive issues related to back-door diplomacy and the events related to security and foreign-policy matters is a unique venture. The book is narrated in a conversational style, with journalist Aditya Sinha initiating the dialogue between Durrani and Dulat. Quite interestingly, Durrani is the one who occupies most of the pages of the book, while Dulat remains a bit conservative in his approach and only repeats the same mantra of India being a target of ISI and Pakistani non-state actors. The first chapter is all about setting the stage for the beginning of the conservation between Durrani and Dulat, and it gives readers a chance to become familiar with the backgrounds of the spymasters penning their experiences. 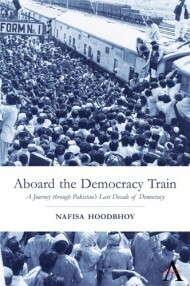 After engaging the reader, the book opens with Pakistan’s ISI-vs-RAW war. It is the third chapter that actually looks behind the channels of diplomacy and the activities of both spy agencies in Kashmir. While Durrani states that India has a status-quo power edge over Kashmir and that the only solution to the problem is a composite dialogue, Dulat is of the view that there is no benefit for India in burning resources in Kashmir. Durrani’s admission about Pakistan not understanding Amanullah Khan, the president of the Jammu Kashmir Liberation Front, is interesting. JKLK wanted a free Kashmir independent of any influence from either Pakistan or India. Durrani is of the view that Pakistan should have backed Amanullah Khan instead of backing Lashkar-e-Taiba. Having had the chance to meet Amanullah Khan personally on few occasions, I in my early youth was convinced that his formula was the only way forward for both India and Pakistan, so one wonders why it took three decades for Durrani and his colleagues to understand this very simple point. The book gives a detailed Indo-Pakistani perspective on Afghanistan and the proxy wars between the two countries, but the controversial point that generated the backlash is about Osama bin Laden. Durrani maintains in the book that Pakistan came to be aware of bin Laden’s presence at some stage and used him as a bargaining chip. His revelations about the Abbottabad operation are nothing new, as every knowledgeable person in Pakistan is aware that the operation was conducted mutually and that Pakistan agreed to show ignorance about it to avoid the wrath of hyper-nationalist organizations. Durrani also states that hyper-nationalism is the obstacle in the way of Pakistan’s peace and progress. Dulat and Durrani both also agreed to pay money to separatists and non-state actors in Kashmir and Baluchistan, which are proxy battlefields for Pakistan and India. There are different aspects and interesting points in the book for intellectual consumption, but at the same time, it focuses more on Pakistan than India. That raises the question of whether it is a deliberate effort by a third party to exploit the weak links in Pakistan’s narrative and get them endorsed by an ex-ISI chief. For example, the statement from Durrani that both India and Pakistan should reunite again seems like an endorsement of the Akhand Bharat ideology. Durrani is of the view that Pakistan and India should one day be reunited, and likely will be. For this to happen he proposes different steps to be taken, and a detailed outline of how this can be achieved can be found in the book. While for the establishment it is high time to think about their narrative as the Bin Laden operation details given by Durrani raise some serious questions. If the Abbottabad operation was mutually agreed, then why was the nation’s money and time wasted by the Pakistani establishment by forming a commision on the Abbottabad incident, the report on which has still not been made public. Durrani’s statement regarding the Kargil War is a confession that Nawaz Sharif saved the day for the establishment in that conflict. Durrani’s statement is highly disliked by the establishment in Pakistan as he states in the book that the prime minister was not briefed properly and that this misadventure was initiated by then army chief Pervez Musharraf. Durrani’s revelations are not appreciated by the establishment in Pakistan; he is already the focus of a military inquiry into the leaking of national secrets and his name is on the exit control list so he cannot flee the country. Durrani’s point in the book regarding the establishment disliking Sharif because of his soft stance regarding India and his participation in Indian Prime Minister Narendra Modi’s oath-taking ceremony also reflects the fact that there are double standards as far as foreign policy is concerned. If a dictator in uniform such as Musharraf pleads to Atal Bihari Vajpayee to make a deal on Kashmir and shows a soft approach towards India, it is considered patriotism and a good diplomatic approach, while the same stance from an elected prime minister is termed as a security risk influenced by the Indian lobby. Durrani’s statement regarding the military establishment camp disapproving of Sharif also validated the former prime minister’s point that he was ousted by the invisible forces for asserting his authority on foreign policies. For policymakers, it seems like the right time to step back from the hegemonistic foreign-policy narratives, and they should leave some space for elected representatives to work as well. The propaganda drive against Durrani concerning leaked national secrets is baseless, as he did not disclose any secrets; in fact, he has pointed out the Pakistan’s Army’s vulnerabilities, and he identified senior officers involved in corruption. One wonders why instead of suppressing facts, the Pakistani military establishment has started an inquiry into the questionable policies and narratives of the last 70 years. Instead of dragging Durrani into an inquiry, a commission should be formed to investigate who hijacked Muhammad Ali Jinnah‘s vision of a welfare state and turned it into a security state. Who was responsible for foreign-policy failures, the Kargil blunder, the fall of Dhaka, the incidents at Ojhri camp in Rawalpindi, Who created non-state actors, and who pushed the country first into a dollar-sponsored Afghan war and then into to the great game of occupying Afghan territory in the early 2000s? Who controls the policies and narratives of the state, and why should they not be brought to justice? The only way forward for Pakistan is to establish a truth and reconciliation commission and to accept the mistakes and blunders of the past 70 years. Probably Durrani has provided the military establishment in Pakistan with an opportunity to come forward and accept their failures in shaping rotten and unsuccessful narratives. It is high time for the establishment step back and let state affairs and narratives be controlled and shaped by elected governments.